Common in chaparral, oak woodland, and washes, this snake is dark olive to almost black with a yellow stripe along each side. A very fast snake, it feeds on lizards, rodents, and birds. 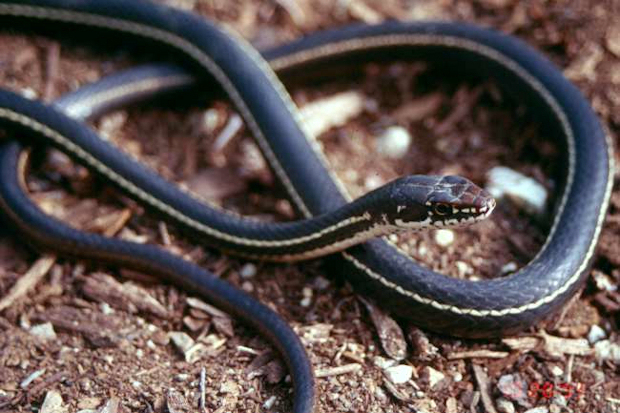 A swift mover, it is nearly black with a thin pale stripe along each side.